Sometimes it's easy to put a face on, trying to fool everyone into believing you don't have problems. I'm not sure why we want others to believe this about us. Maybe to seem better than we are; or maybe to be liked because we're not sure the real us is like-able. It seems to be a big secret that we're flawed and we're desperate to hide it. But the great irony is that everyone is flawed. I struggle to be organized. I lose things all the time. I don't like this about myself and often prefer to appear put-together rather than honestly sharing how bumbly my process is. If someone assumes my husband and I don't fight; it's tempting to let them think it. But marriage isn't like that. We struggle, sacrifice and argue as much as we love, laugh and play. I have tendencies to fixate on one thing and like to seem ultra-focused rather than admit I fixate to the detriment of other things. I struggle to balance time with all my priorities. I tend to do really good in one area and horrible everywhere else. These are just a few of the ways I hide; but I'm trying to live more honestly. I want to embrace that I'm flawed and have patience with myself and others. This is why I share my struggles and show glimpses of sorrow here. But I much prefer being at a positive place, and I've learned that it's okay to enjoy life even in the midst of difficult times. I don't have to hide joy. I need to embrace my corny, silly side as much as I do my flaws. How do you embrace your flaws or your joy? I am glad you don't hide everything--glad that you reveal bits and pieces of yourself and your creativity here on the blog. As for living more honestly--a very noble idea. Thanks Shelley, I love hearing that from you! Haha, that song is fitting! I agree, it's a battle. ahh, you sound like me! everyone is flawed, but thats what makes us, US! i love positivity, too..but i also accept things behind things. ps, sorry i have been MIA. Isn't that mask cool? Makes me think of Phantom of the Opera. Ah yes Catherine - you are so right we are all flawed, but it takes time to be able to admit to the flaws, to be open and honest. I think that as one gets older and reflects that it is perhaps easier to be more honest with ourselves. At least that is what I have found, but I think that with that honesty also comes an acceptance of our flaws and kindness to ourselves. I can identify with many of the things you talk about here, like not being organised. Does it really matter - ? You are open and funny, creating a space that allows us to share with you all the good, bad, ugly and mostly funny aspects of your life and our life's - and that is good. I'm loving all your thoughts, Clare. You're such an encourager! Want. Mask. Seriously, that is a great mask. 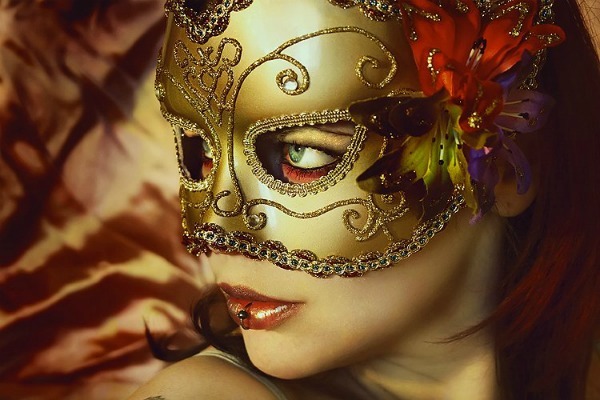 I have found that I release another me when I wear a mask. It's like playacting or something. (I'm sure a psychologist would have fun with that notion). We are all flawed. How boring it would be if everyone was perfect, but it's good when we recognize and acknowledge our flaws and try not to hurt others with them. Good post, my dear. Haha, I felt the same way when I saw it. Isn't it amazing? I agree, imperfections add interest. In stories, I much prefer the main character be flawed. Thank you, Tricia.